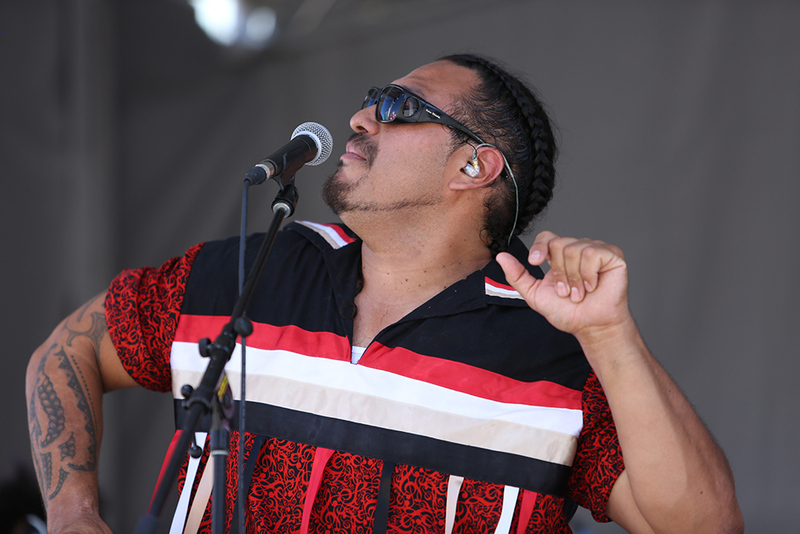 Curtis ClearSky and the Constellationz are a Vancouver BC based band providing an energetic live music performance of IndigiFunk that consists of Hip-hop, Latin Funk, Blues, Ska, and Reggae. This live authentic collective performs music of celebration & unity guaranteed to get you down! The funkified rhythms drive the soul and move the body! The conscious lyrical chants excite positive affirmation. The female harmonies are a soothing healing force of energy. The latin percussion and break beat rhythms are rock steady. The DJ’s cuts hold the party down and the smooth horn section fulfills the ensemble. Curtis ClearSky descends from the Blackfoot and Anishinabe Indigenous peoples of Turtle Island (North America) and members of the Constellationz derive from around Mother Earth including Aotearoa (New Zealand), Brazil, Belize, El Salvador, Guyana, and Jamaica. Band members also descend from Indigenous backgrounds including Maori and Guarani-Kaiowá.